First World War Teacher focus group. Thursday 19 June. 5.30-7pm. We’re looking for teachers to take part in a focus group to consult on the development of a new digital First World War learning resource sponsored by Royal Mail. Teachers will be asked to feedback on draft designs and activity ideas across a range of National Curriculum subjects. Students discover the First World War stories in our archive with Curator Vyki. You don’t need to prepare anything in advance. There will be complimentary refreshments and all participants will receive a £30 gift as a thank you. To register your interest, please email Sally Sculthorpe, Learning Officer, at sally.sculthorpe@postalheritage.org.uk with your name, school and subject specialism by Friday 13 June. Hello, I’m Sally, the new Schools Learning Officer. It’s my job to develop our formal learning programme for students of all ages. 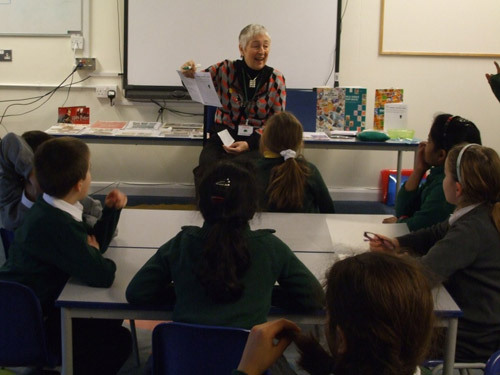 I’m currently trialing workshops for Primary schools in London. You can find out more about our plans, including how to book a free workshop for your school on our website. Another part of my job is to support the BPMA sponsored Stamps in Schools outreach service. This is co-ordinated by retired teacher Erene Grieve, and provides free sessions to primary and secondary schools throughout the UK. A small selection of Erene’s stamp collection. 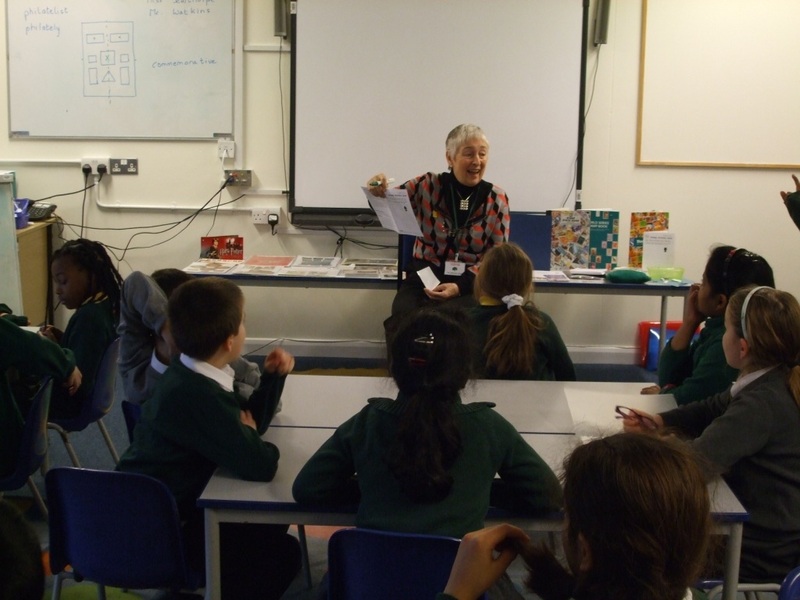 I recently accompanied Erene on her latest Stamps in Schools visit to Sherwood Primary school in Mitcham, Surrey. I thought I’d share some of the great photos from the afternoon, and tell you about what schools can expect from a session. Erene began by telling a story about the sack of stamps she saw advertised in the newspaper and sent away for at the age of nine. The sack cost a few shillings and was full of hundreds of stamps. She showed the original sack, and explained this purchase sparked her lifelong interest in stamp collecting. Erene sharing her passion for stamps. Erene used a colourful display of real stamps and other materials from our collection in an interactive presentation about the history of the postage stamp. 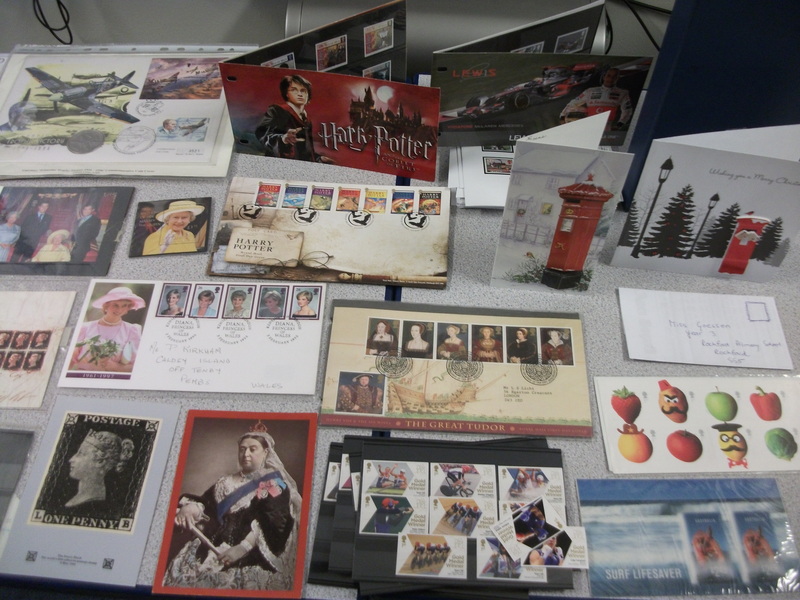 This included an opportunity to see a Penny Black, a quiz to identify old and new commemorative and definitive stamps from all over the world and a competition to guess the most valuable stamps. Here’s me getting stuck into the stamp activities. Students completed cross-curricular tasks on Stamp Activity cards that tested their new found stamp knowledge. Then, they were given their own small ‘sack’ of stamps from around the world and arranged them symmetrically on squared paper, just like a real stamp collector! 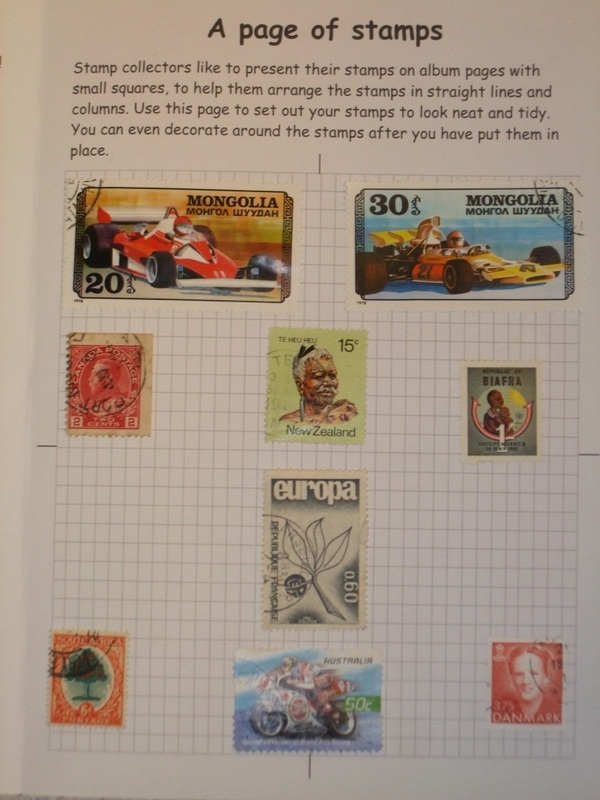 A neatly arranged page of stamps. Finally, the students chose some commemorative and definitive stamps to keep and start their own stamp collection. 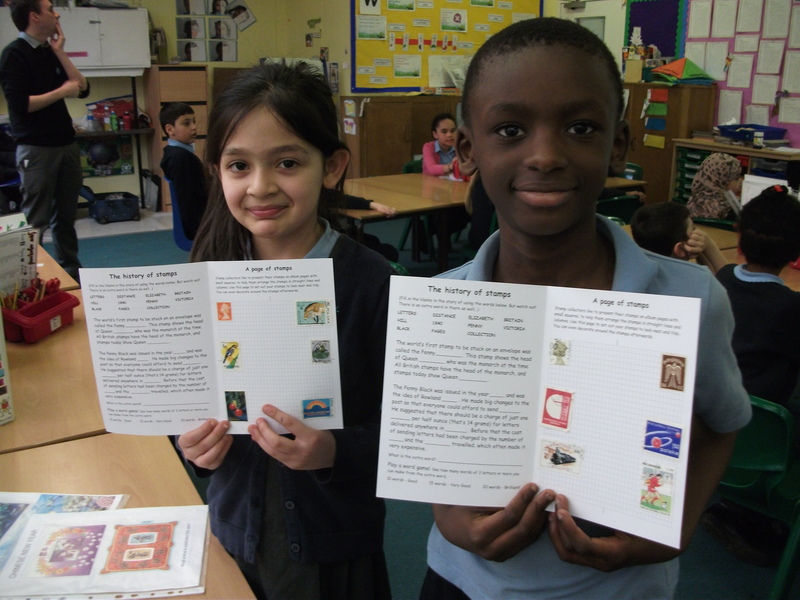 Sherwood Primary school is lucky enough to have a growing Stamp Club. This visit, enthusiastically described by one student as ‘the best afternoon ever’ has no doubt increased the number of budding collectors. 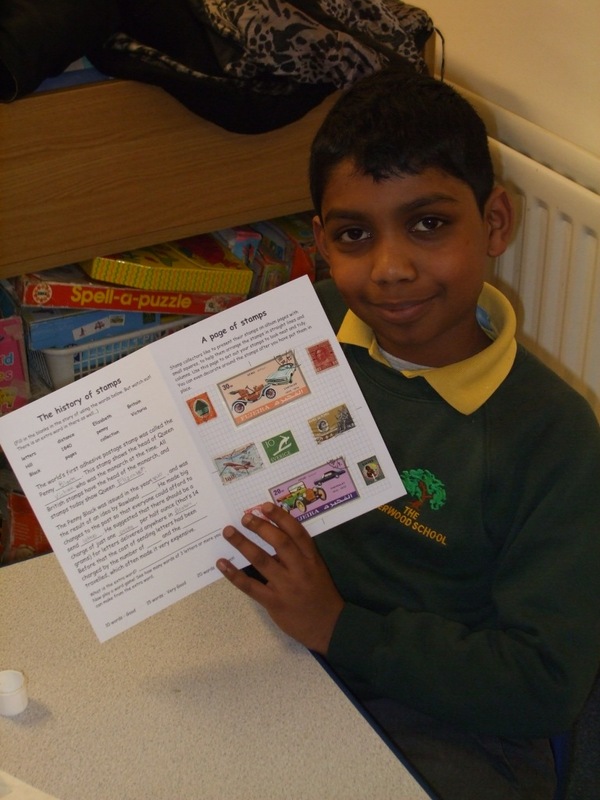 One of Sherwood Primary school’s stamp collectors. Each session lasts for about one hour, and can be delivered to a class, or as a school assembly. It has cross-curricular links to a wide range of subjects including Literacy, Numeracy, Geography, Art and Design, or Citizenship. Sessions can be tailored to link to class topics such as ‘The Victorians’ and ‘Communications’. All materials such as stamps, postcards and activity sheets are provided free of charge. Example activities include: writing postcard messages, calculating weights and postal charges, and designing a stamp. 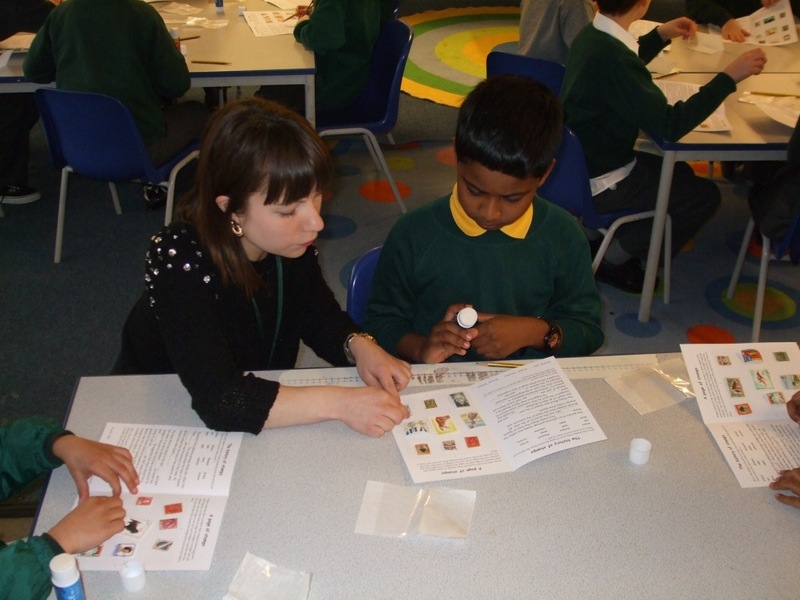 Erene is happy to provide follow up support to help schools start their own Stamp Club. 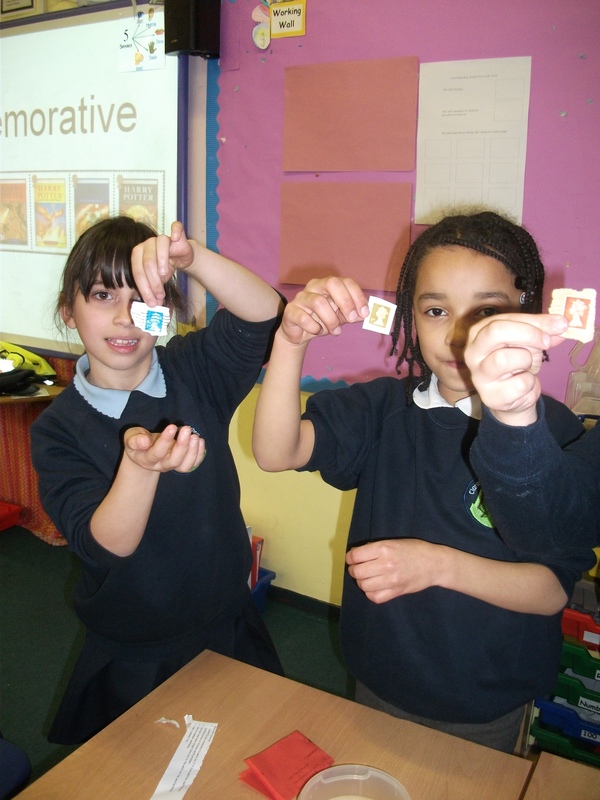 We’re currently taking bookings for Stamps in Schools – book via our website. 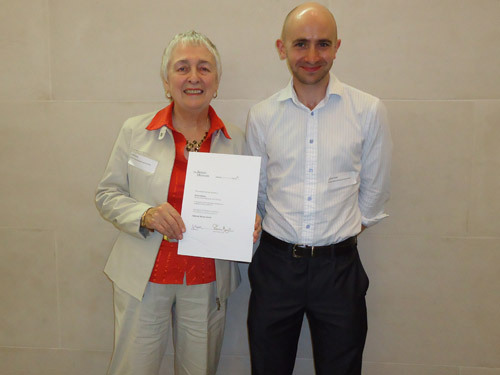 Last month I attended the Teaching History in Higher Education Conference at Senate House. As an archivist, rather than an academic, I was a little nervous. However I am pleased to say that I was made very welcome and came away with a range of ideas for activities that could be adapted to our future work plans at BPMA. Alongside considering the logistics of moving our collections and the content of our new exhibition space, we are also planning the types of activities we will undertake in our New Centre, including our involvement with formal education. A life long learning group visits our Museum Store. We are already involved in a range of formal and informal learning activities, including collaborative PhDs and teacher placement schemes, but are keen to expand this offer in future. As such the conference provided an interesting insight into the key concerns of the higher education sector and inspiration for potential future activities. The sessions on workplace learning were particularly relevant. The BPMA’s engagement in this area has been minimal to date, due to both limited staff resources and difficulty in designing activities which are mutually beneficial to both parties. However the presentations on this area gave an insight into the types of projects that could be undertaken and provided ideas for possible future development. 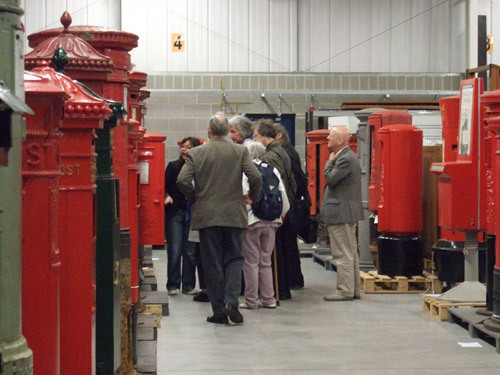 A group of student teachers tours the Royal Mail Archive. Allannah Tomkins’ paper on the use of creative writing was also useful. Creative writing is an area that the BPMA has explored in our work with school groups. The Post Office itself also has a strong literary tradition with former staff including Edward Capern (the Poet Postman), Flora Thompson (famous for Lark Rise to Candleford), and most notably Anthony Trollope. Therefore there is plenty of scope for exploring historical and literary links in more detail. The conference provided some interesting ideas, and also some useful contacts. Over the coming months the BPMA will be considering if and how we can embed these ideas into our plans for the future. Watch our website for information on forthcoming activities. Last Thursday was the final of the Silverstone Innovation Centre Design Challenge, and I travelled up to Silverstone to take part in the judging for the day. 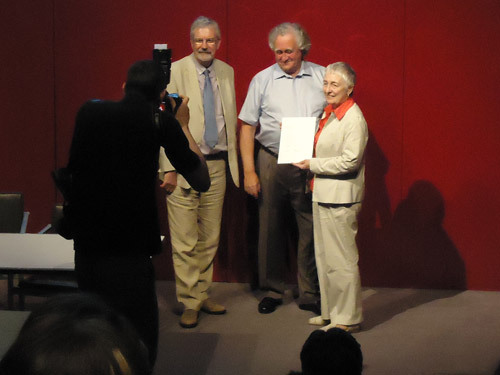 The BPMA became involved in the Challenge as this was the first year of the Stamp It Challenge. Primary school children (Key stage 2) were asked to design a stamp on the theme of travel. The winners were Joseph Brownlow and Harry Chinnock from Cawthorne Primary. We chose their design for their innovative and creative take on the theme. You can see their design, and explanation, in the images below. Here are some examples of designs by runners–up. The overall purpose of the Challenge is to encourage students to expand on the skills they learn in school, and take them to the workforce. 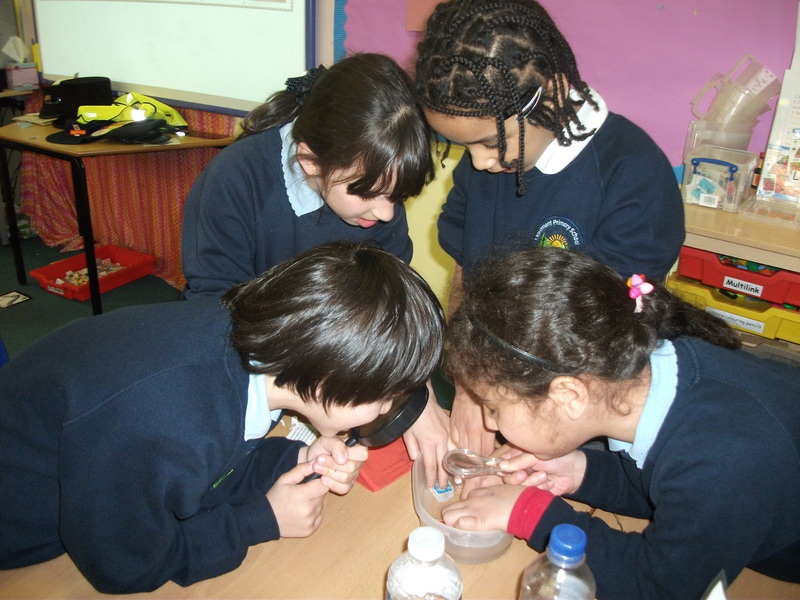 While Stamp It was aimed at Key Stage 2 pupils, the other Challenges were aimed at older groups. Key Stage 3 and 4 students submitted proposals under themes such as ‘What Ya Call It’ where they were required to design a new object, ‘Engineering Excellence’ asked them to create a new tourist attraction, and ‘Promo Puzzle’ challenged students to come up with an innovative marketing campaign for the 60th anniversary of Drayton Manor Park. Following the first pre-judging earlier in the year, selected students came to the Final last Thursday. They presented their reworked proposals to the judges in a Dragon’s Den style day! We Dragons then had to score each presentation, and overall winners were presented with their prizes in an awards ceremony at the end of the day. The day was an exciting one to be involved in, and I was constantly surprised by the quality of projects and ideas that the students had come up with. Hopefully next year will be even better! Find out more about the Silverstone Design Challenge on their website. The Silverstone Design Challenge is run every year at the Silverstone Innovation Centre, part of the famous Silverstone race circuit – the home of British motorsport. The Design Challenge is run in collaboration with Darren Giles of the National School TC College in Nottinghamshire, and is a national schools competition that focuses on the subject of Design Technology with a real world link. This year they’ve added a new challenge for younger children – Stamp It! This challenge is for KS2 pupils working in teams of 1-4 to design a brand new stamp on the theme of journeys and travel. The deadline for registering entries was in January, so applicants are now busily working on their designs. The guidelines state that the images included on the design are up to the applicant, but they must remember to leave room for the Queen’s head. Judges will be looking for how well the idea fits the theme; so the entrants don’t have to be a brilliant artist to become the winner. The best 10 entries received by the prejudging date of 23rd April will get through to the finals day at Silverstone where the work will be displayed for the judges to see. The overall winner will have the opportunity to work on their design and produce some limited edition products with their design on them. The BPMA will be providing a prize for Stamp It! winners, and will also be taking part in the judging on 13th July at Silverstone. For more information about Stamp It! see the Silverstone Design Challenge website. Tagged design challenge, design competition, motorsport, National School TC College, schools, Silverstone, stamp design, Stamp It!